As a parent/gamer with gamer kids I know that it is important to exercise some parental control over what games they play and where they play them. It is, though, parental choice that should be the overriding voice in setting up any system. There are some games that are not suitable in any way and there are others that are suitable with some controls and changes for any age to play. Each needs to more subtlety than the simple PEGI rating. Here is the problem I faced this weekend. I have an Xbox One, mine is the primary account. The new terms of xbox live mean that the kids can have live accounts as family members. So I set them up their accounts, using their emails and dates of birth etc. I then upped the access control to that of teens for many things as below that was to restrictive and did not allow them the sort of access they need to have, with parental oversight and guidance, to learn about games and safety online. Having played Battlefield 4 online myself with the voice comms with other players turned off there was only really a fun game of soldiers. No swearing etc. Now I believe that my 7 year old son is more than capable of enjoying that game in that mode, especially if I am in the room with him. He knows that the single player campaign is off limits. We have played split screen call of duty with bots before too. This is very different from the machismo and potential adult content that the story driven sections provide. It is almost a completely different game, yet it all carries the same rating as it is a package. So, on the xbox one I logged in as him and was forced by EA the games makers to create an “Origin” account. I did, but it recognised his date of birth from the Xbox One profile and suggest a kids account, with my email as parent. I was happy with that as he didn’t need to be buying things on Origin or anything. I then sparked up battlefield 4 with the aim of letting him have a go on the completely free of other people test range. Battlefield just hung. So I started up FIFA 14 and it decided that it would use the same Origin account, all very joined up. However it refused to connect too. I followed the link to EA’s https://www.origin.com/ where I figured I would be able to manage the account somehow and check it was all ok. Unfortunately when you create a childs account it uses just an origin ID not an email. The people who build the web maintenance application have only provided a login based on email, NOT email or ID. So online there was no way to administer the account. I signed into my Origin account (using my email which is the same as predlet 2.0 parent email) and I was expecting to see “manage linked accounts” or some such arrangement. I could not see it at all. So I now had his Origin account bound to his xbox ID with no way to disconnect the two and start again, nor to give approval to use the pieces of software I own that I would like him to use on the Xbox One? I attempted a live chat with EA help, which first of all did not work on the Mac, lots of web page errors. Luckily I have windows too so I used that. I quickly downloaded the Origin client for windows and found by accident that it allows you to login with ID or email. So I was able to get into predlet 2.0 account and prove to myself it existed, but… still no options to change anything. Nor where there any different options in the PC client on my full adult account. So I had a live chat conversation that went as follows. The upshot was that there was constant confusion of xbox one and 360, I had to do a lot of verification that I was me, the account was linked to my account by the final advice was to download a massive EA demo on his account to prove something or other? I was not clear about that. Whilst going to the xbox one and starting it all up I was apparently away too long and the case was closed as Resolved !!! Which it is not! I even tried logging into the xbox live account for him and changed his birthdate to see if it would trigger origin to “upgrade” him. That of course did not work and I should not have to do that. Thanks for contacting EA Customer Experience, my name is Sumit. How may I assist you today? Do you have access to **********? I have sent you a verification email on your email ID ,Kindly tell me the code in that email. I can see a security question associated to your account ,Could you provide me the answer to that? Can we just remove ********* altogether? May I know the country you are from ? It seems that you are away from the Keyboard, please let me know if we are still connected. I would like to know the origin Id linked to your account? I would like to know the origin Id linked to **********? Tell me which is the game linked to ******** account ? First visit xbox.com and sign in with your Xbox Live email and password. Then click My Account in the top right corner of the page. After that click Manage Devices. Then,click See 360 purchase history. lastly search for the Online Pass and the date associated with it. Did you see Online Pass? Your response is awaited ? Since I’ve not heard from you, I need to end the chat session. Please feel free to contact us again. We’ll be glad to help you. The chat session has ended. Please contact us again if you need further help. I am trying to be a responsible parent, use the service available, not lie about dates of birth etc. In this case it would have been easier to create all adult accounts on the Xbox One, no one would be any the wiser. I could then apply my own physical control and chaperoning to the experience. I tried two routes to try and resolve this with EA. Your child will have access to his or her underage account until he or she turns 13 years of age. 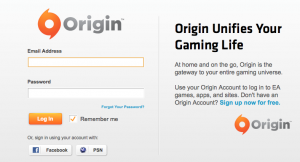 When he or she turns 13, he or she will be eligible to register for a full Origin account. After all I am asking for it to be updated or deleted? The response to my email asking for it to be upgraded or failing that deleted and freeing it from the xbox one account was not very helpful. i.e. contact the live chat again ? Please let me share that underage account issue requires account ownership verification and all issues that require account verification are handled by the Phone Support or Chat support Team to maintain the confidentiality and security of your accounts. The Phone Support Team can be contacted on <0203 0141818> from 9AM-9PM GMT, Monday through Saturday. You may also use a VOIP service which should allow you to make the call. An example is Skype or Googletalk, which is comparatively quite cheap, if not free. 1. Log into http://help.ea.com/contact-us using your Origin/EA email or Pogo screen-name and your Password. 2. Before entering a Product for “Step 1: What type of issue are you having?” click on the “Do You Have an Existing Case?” link on the right. 3. In the “Select a Case” drop down, select your case number and issue from the available options. 4. Under “Step 2: Choose a Contact Method”, select Live Chat. Bear in mind this is a response to an email telling me as a parent if I have concerns to just email the privacy ID. I have already tried to navigate the live help and it was not very helpful and very time consuming. On twitter I also pinged @AskEASupport who were very quick off the mark and very responsive. They sent me a link to this page which was for Battlefield 3 on the the 360. If you’re receiving an error restricting you from access to areas–or the entirety–of your any of your games due to any sort of “Underage Error,” this is caused by a problem with the Date of Birth on your Xbox LIVE account, which was entered during registration. Unfortunately, our team is unable to assist with errors of this nature as they originate with your Xbox and its configuration, rather than the game being played. For more information on Xbox LIVE online safety and privacy settings and child account settings (set by Xbox for users under the age of 18), please go here. Please know that changing the parental permissions and other settings does not guarantee access to the servers, as Xbox may still deny access based on the age on the account. For further assistance or information regarding this error, please contact Xbox Support. So it is saying its the xbox’s fault for sending the correct date of birth and that they can’t do much about that? The links on the page to xbox support also were no longer valid. When I queried that it was suggest it talk to …. yes live chat again ! So lets just break this down a little. There is an underage origin account with my as the parent. I cannot get that removed or changed without verifying who I am again, and verifying who the child is. So how exactly would I resolve that is someone used my email in error? The data flow for this is not really making much sense. With a bit of extra clicking around randomly I managed to get onto his web page version. 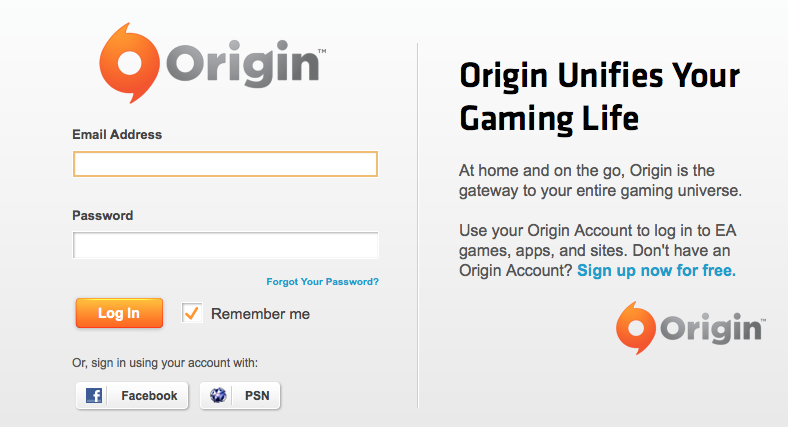 Using the Origin PC client logged in just using ID not email (as it allows both) I logged in. When I hit help on that app it then opened up the webpage but this time passed the login credentials. I was not able to hit save and change the email, but I was able to set an extra security question on the account? I manged to find a button to unlink the account from the xbox one. I was hoping that then sparking the Xbox One up and an EA game it would realize the account was not the one I wanted to use. However instead it tried to login and then told me I could use it until I hit re-link. No option to change the id at all. This is not a very good system!